It's just around the corner! What are you cooking up for guests? Me? I'm taking the four of us to Michael V's for Thanksgiving Dinner. All we can eat, no cooking and no cleanup! Since all our relatives are on the coast, we don't make a big deal about holidays. However, a friend of mine posted this cute little goodie on her Facebook page and I thought I'd share it with those of you who are having company. 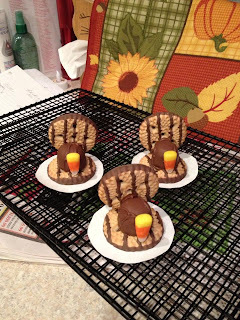 This little treat looks fun to make and yummy to eat! I can say that this new keyboard has been a huge help with my carpal tunnel issues. It took me about a week to get my speed close to my old speed and even yet, I'm not quite as fluent. However, I get faster every day. I'm probably up to 45 wpm now. As far as pain, it's MUCH BETTER! Not all gone by any means. I still have problems at night with numbness; however, I just learned from my doctor, that thyroid increases problems with carpal tunnel. I had my thyroid removed in January this year. She said that this could be aggravating the issue. We are still working on getting the medicine adjusted. So the good news is, this problem should go away with time. Maybe I will get a full night's sleep sometime in the near future! 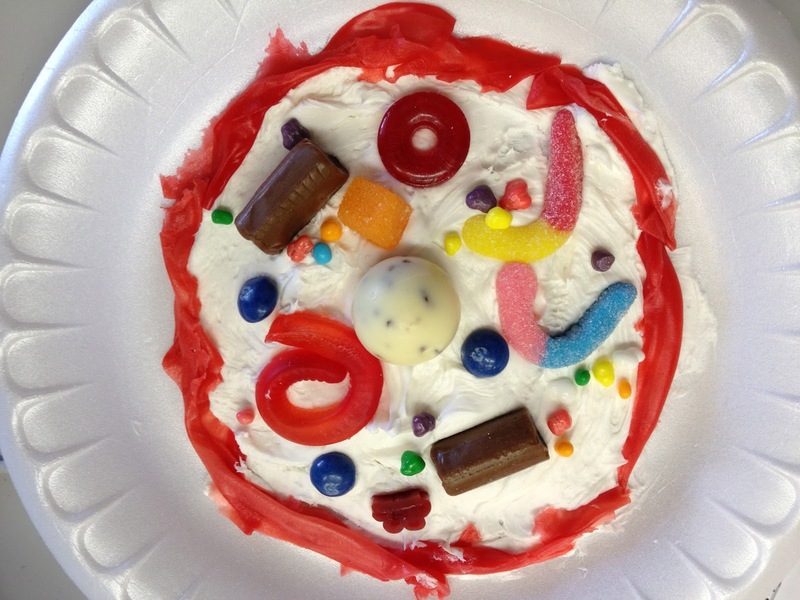 We are just about finished our unit on cells and cell function. It's been a tough one! I don't remember half this stuff from high school - maybe because we hadn't discovered it yet - after all, it's been a few years! LOL! 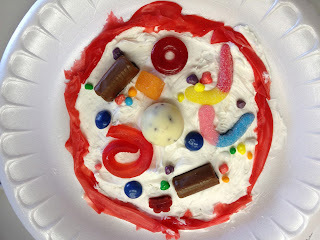 Cell model made of candy. I gave the kids a zip bag to carry their "cells" home, but most of them ate them while we were in class. Ooooh - tummy ache! The vocabulary words for this unit were difficult, so I divided the kids up in teams and had them match the word with the definition using paper strips. That was fun!